Home > News > Pools > Why Is Balanced Pool Water Important? If you have ever swum in a pool that didn’t have the right water balance, you likely had a less than optimal experience. Whether excessive chlorine levels are leading to itchy, burning skin or high acidity is corroding your pool, there are many benefits of maintaining a healthy water balance. If you are looking to make the most of the upcoming summer, here are some of the top reasons why it is important to maintain balanced pool water. If you have ever been in a pool that doesn’t have balanced pool water, you likely weren’t very comfortable. For instance, a sticky feeling will often happen when pH levels are too high or a slimy feeling will be found when algae blooms are present. 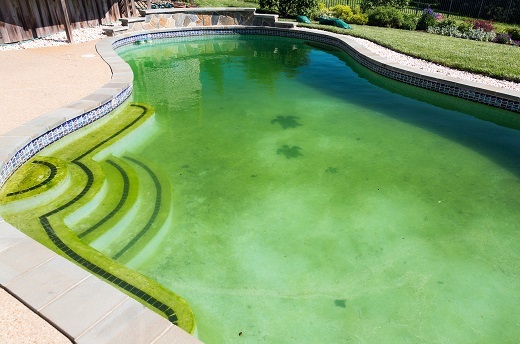 For this reason, making sure you have properly treated your water with pool chemicals is critical for comfort. Swimming in unbalanced water is not only uncomfortable, it can be incredibly dangerous. When you have high levels of chlorine or other chemicals, it can function as a strong irritant that can produce rashes, itchiness or worse. To ensure the best possible experience, regularly test your water and ensure you have balanced pool water at all times before swimming. While most people don’t think of water as a corrosive agent, unbalanced pool water can cause severe damage to your pool liner, railing, pump and other equipment if not corrected. This can not only ruin your pool, it can result in costly repairs that limit your swim time throughout the season. If you are unsure of what chemicals are needed to correct your water balance and preserve your pool and pool equipment, we can help!